Maureen Little is the author of a number of books including The Bee Garden and The Kitchen Herb Garden, to name just two. Combining her passion for both plants and bee’s, Maureen has recently taken over the plant centre at Stydd Garden’s in Ribchester from where she sell’s roses, herbs, honey and of course, bee friendly plants and gifts. 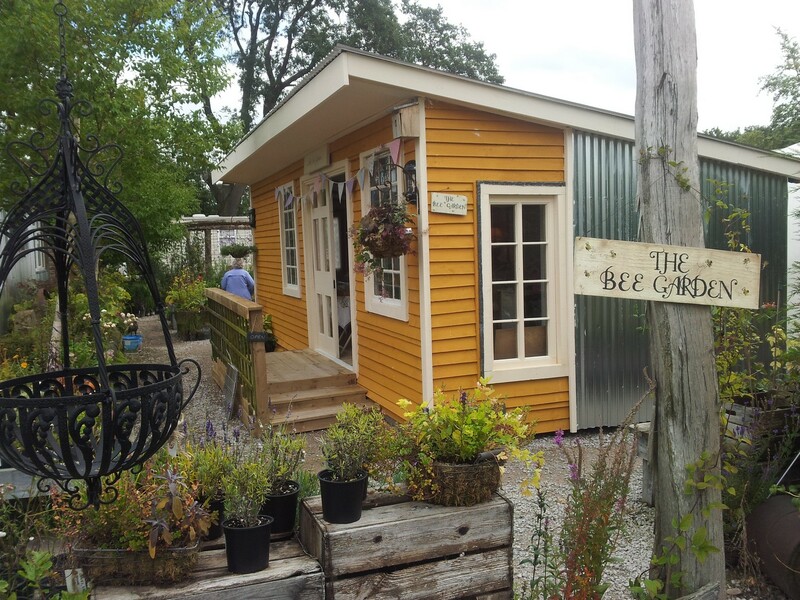 Renamed The Bee Garden, and sitting alongside a number of other specialist traders and the hugely popular Glass House Cafe, it is a most enjoyable, not to mention relaxing place to spend a few hours. 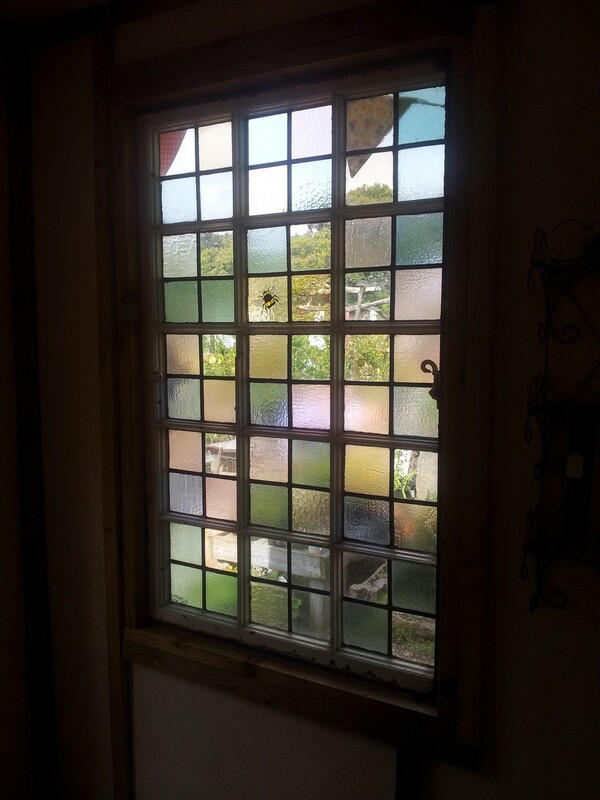 Within the Bee Garden cabin are two beautiful large old reclaimed leaded glass windows made up of simple square quarries in antique mouth-blown and cathedral glass. Both windows had suffered damage over the years and Lightworks were brought in to carry out repair and restoration works including replacing a number of cracked and shattered quarries and one completely missing panel. At Maureen’s suggestion, we also hand painted and kiln fired two small bee design’s into two of the replacement quarries, both of which now take pride of place within the rustic old windows. 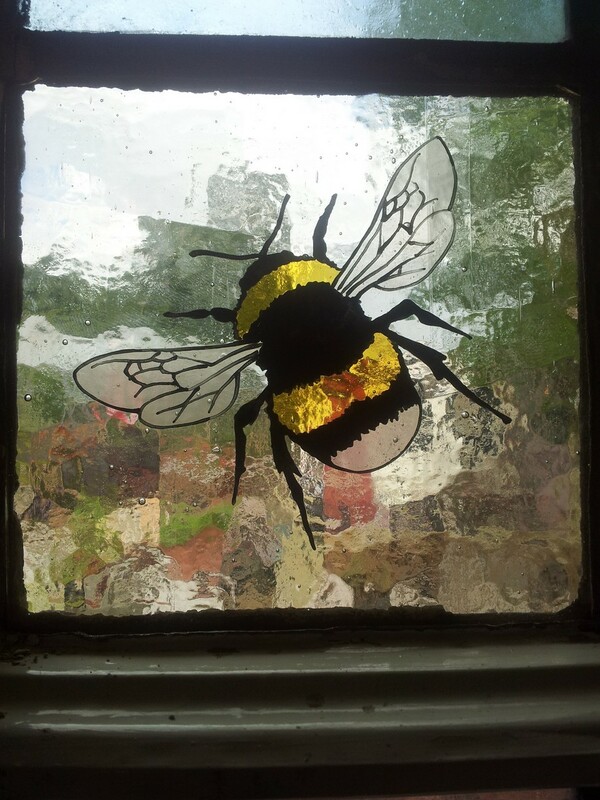 Our bee’s were simply rendered on antique cathedral glass using a mixture of black tracing paint, silver staining and a touch of highly diluted white enamel.